Make a one-time or recurring gift: To make a donation online, please click the button below. You may also mail a check made out to "Rebuilding Together Seattle" to our office at 500 Aurora Ave N #305, Seattle, WA 98109. In-kind donations: We accept in-kind donations of tools, safety equipment, gently used appliances, and more. We also appreciate auction item donations for our Beer & Wine Tasting and Sip & Support. Please call our office if you're interested in donating any in-kind items to ensure we have the space and capacity to accept them. Stock gifts: Contributing appreciated stocks are a great way to impact the Rebuilding Together Seattle mission. Please contact our office to learn how to make a stock gift. Planned giving: Through a planned gift or bequest, you can leave a lasting legacy that ensures safe and healthy housing for everyone in our community for years to come. Speak with your adviser to discover the many ways you can support Rebuilding Together Seattle through your estate plans. 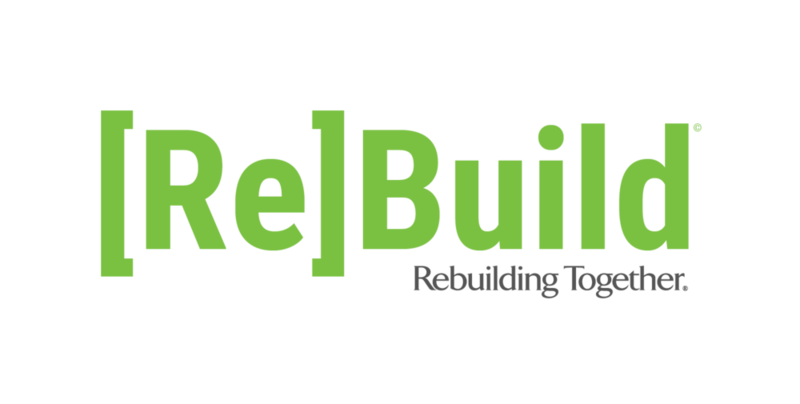 Matching gifts: Your donation to Rebuilding Together Seattle may be eligible to be matched by your employer. With a matching gift, you can double or even triple your impact on the homeowners we serve! Please speak with your human resources department to learn if your company will match your donation. Questions? Please email Caleb Marshall at cmarshall@rtseattle.org for more information on these options.